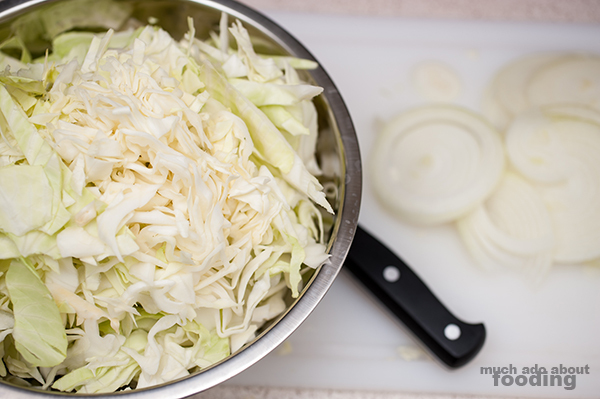 Slice onion and shredded cabbage head. Start a large pot with just enough oil to barely cover the bottom on medium heat. 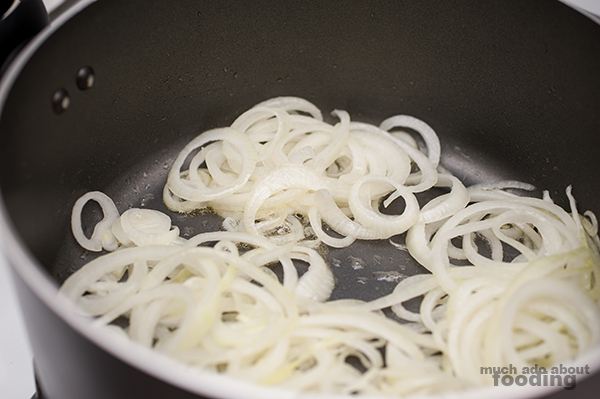 Add onion slices. Stir around to prevent burning. 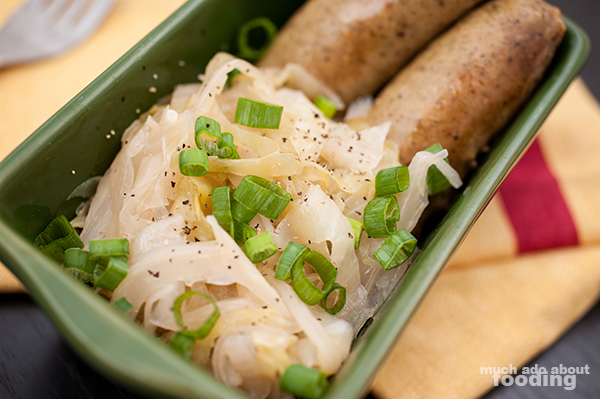 When they've become slightly translucent, add in your shredded cabbage. 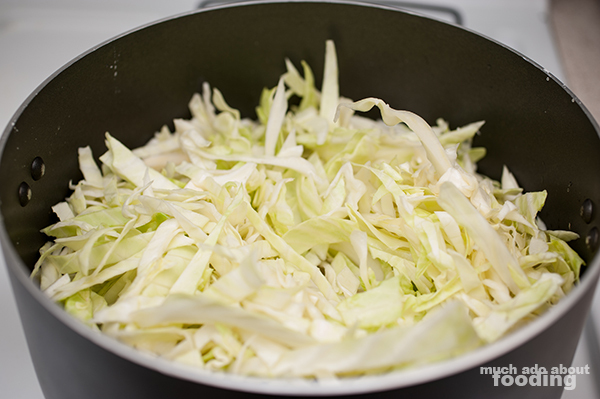 Pour vinegar, water, and salt over the cabbage. Turn to medium high heat and constantly stir until it begins to boil. The cabbage will have wilted considerably by then. Cover the pot and turn the heat to low. Simmer for 45 minutes. 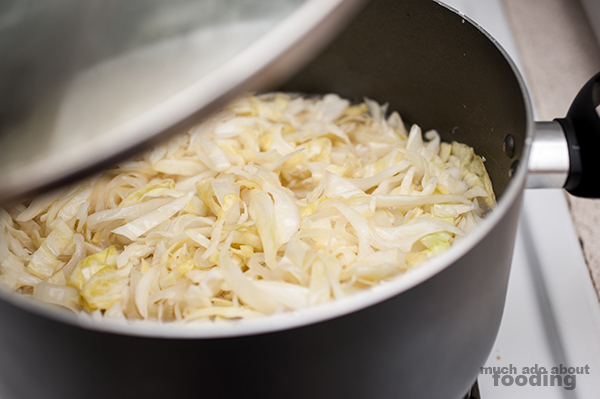 Depending on if you like it hot or cold, you can either serve the sauerkraut now or later. I like mine cold so I let the mixture cool down before transferring to a large container to cool even further. Then I chilled for about an hour before my first share of the portions. 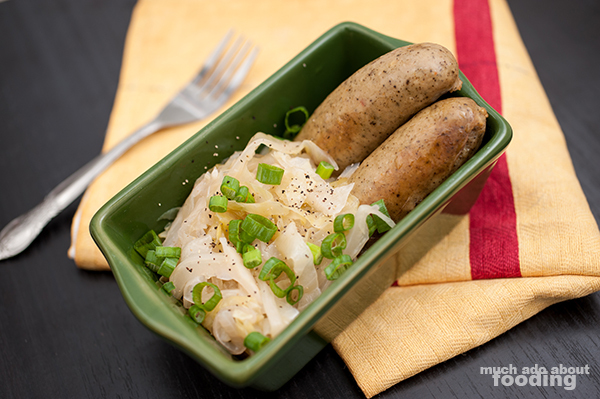 It was very tasty served with bratwurst, some freshly ground black pepper, and chopped green onion. 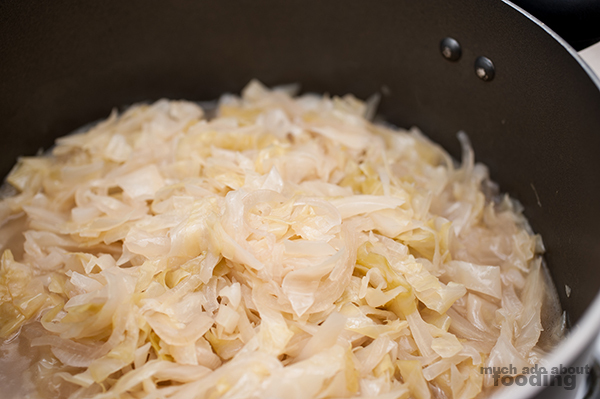 *NOTE: this recipe did not include caraway seed which would give a more authentic German flavor (I didn't have it); add this before simmering to extract the flavor you desire.